The Fridge Mount lets you conveniently position your iPad® in the kitchen. The minimalist design stylishly keeps the iPad safe and secure. 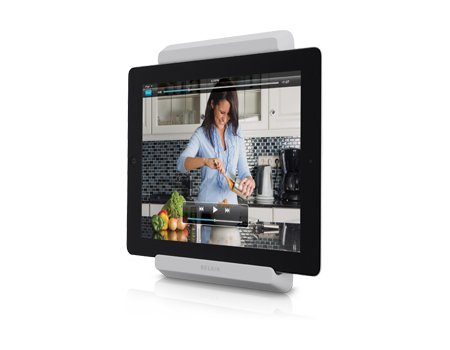 The Fridge Mount lets you conveniently position your iPad® in the kitchen. The minimalist design stylishly keeps the iPad safe and secure. No tools or hardware are needed and no permanent installation is required. Supplied Maximum-strength 3M™ Command™ Strips snap the iPad firmly in place and attach securely to a fridge, cabinet, or wall without damaging surfaces when removed.